BuzzCanada: Can Happiness Be Bought? First the cathedral and then the cafe? Experiences like travel bring greater satisfaction than material goods, researchers say. You Can Buy Happiness, If It's An Experience. We humans spend a lot of time waiting in lines: People queue up for days in order to get their hands on the latest iPhone, or what feels like eons for a table at that hip new brunch place. You may be better off spending time and money on the latter. A growing body of research has shown that experiences tend to make people happier than material possessions. And even anticipating an experience like a concert, a ski trip or what better be a really great brunch makes us happier than purchasing the latest gadgets, according to a study published Tuesday in Psychological Science. The study, cleverly titled Waiting for Merlot: Anticipatory Consumption of Experiential and Material Purchases, tracked how about 100 college students and over 2,200 randomly selected adults felt about material goods and experiences. People got excited about both things and events. But they tended to feel more positive about experiential purchases, and their feelings about material purchases were more likely to be tinged with feelings of impatience. "I think one aspect of that has to do with the nature of imagination," says Amit Kumar, a doctoral student of psychology at Cornell University and one of the researchers behind the paper. "If you're waiting to buy an iPhone, you know exactly how many megapixels the camera on the new phone will have," Kumar told Shots. 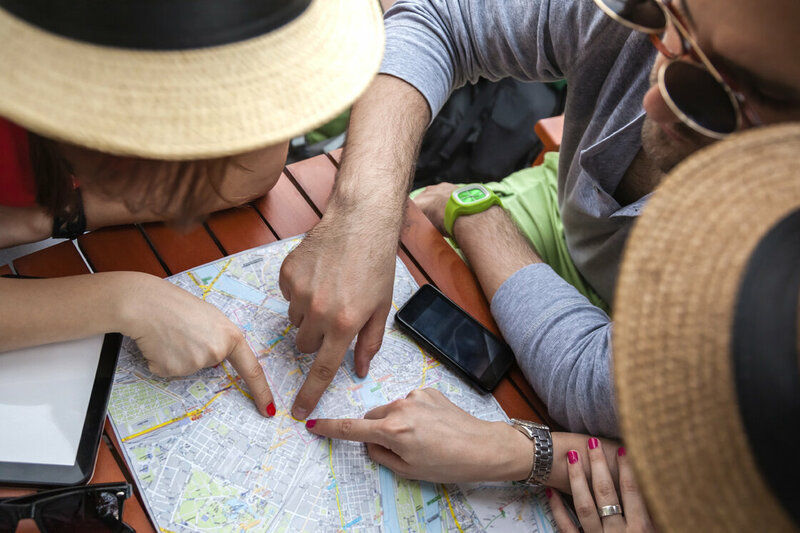 People often get really creative while planning out a future vacation, he says, and just thinking about all the things they'll be doing and all fun they'll be having can boost their mood. Plus when it comes to experiences, money isn't as much of an issue, the researchers hypothesize. People may be competitive when it comes to keeping up with the Joneses, but tend to be less competitive about spending on experiences. And as people age, they tend to find more joy in ordinary, everyday experiences like walking or gardening, compared to that trip to Fiji, another recent study found. One reason may be that experiences give people the opportunity to bond and socialize, Kumar says. Even when if you aren't guaranteed a ticket to a concert or a taco from the cool new food truck, people often enjoy waiting in line. "While waiting for concert tickets, people reported singing songs together, or people would be playing games with each other while they're waiting," he says. And we've got proof of that right here at Shots. Editor Scott Hensley says he could buy tickets online for the Old Ebbitt Grill's annual Oyster Riot, but he much prefers going downtown first thing in the morning and waiting in line with his fellow oyster aficionados. That sounds a lot more fun than those Black Friday scuffles over flat screens and Xboxes. Indeed, Kumar and his colleagues compared news reports about people waiting in line and found that long waits for material purchases were more likely to end in violence. We bet nobody's gotten into a fight while waiting for that oyster party.